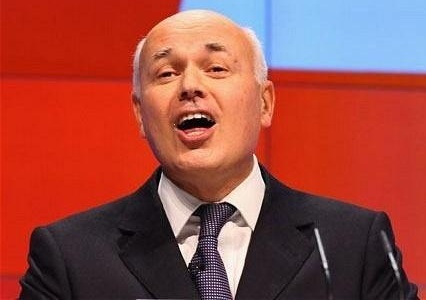 Iain Duncan Smith’s bodged welfare reforms could be falling apart at the seams according to Whitehall insiders. The Independent today reveals that Universal Credit is now a year behind schedule, £100 million over budget and that senior figures involved in the new benefit roll out have quit. Universal Credit is dependent on a colossal database and IT system being created which is far more ambitious than has ever been attempted by any country previously. The new benefit regime will be digital by default, meaning millions of people, many of whom don’t have and can’t afford internet connections at home, will only be able to access benefits from Jobcentres and libraries. Whilst Iain Duncan Smith has claimed that Universal Credit will simplify the benefits system and ensure that being in work always pays it seems that neither of these objectives are likely to be met. Increasingly there have been warnings that many working people could be worse off under the new regime. Already the new benefit is mired in complexity, as the reality of throwing away 50 years of steady development in welfare administration is thrown away to be replaced by Iain Duncan Smith’s increasingly crazed schemes. Iain Duncan Smith and Minister for Welfare Reform Lord Fraud have repeatedly announced policy off the cuff, with little thought as to whether the new systems can be made to work in reality. Bodged proposals to deal with everything from how rent payments to supported housing such as Women’s Refuges will be administered or how free school meals will be managed have been invented on the spur of the moment with barely a thought for the practicalities. Research which recently suggested that just under half of social housing tenants are expected to fall into budgeting difficulties and be unable to pay rent has even been presented by Lord Fraud as somehow representing good news. The social costs when the new system is implemented are chilling. Part time workers could be bullied by Jobcentre staff to give up their jobs in favour of temporary full time work. Single parents with young children could be compelled to work from dawn to dusk with reduced childcare support or face sanctions which mean they are unable to feed their kids. Sick or disabled claimants will face unprecedented harassment and brutal benefit sanctions if they are not judged to be trying hard enough to find non-existent jobs. A combination of the new payment system and benefit caps have meant that many private landlords are saying they will no longer let to benefit claimants due to the complexity of the new plans. Astonishingly Universal Credit won’t even save any money and is likely to cost far more to administrate than the current system. Today’s revelations reveals that behind the scenes the implementation of Universal Credit is equally shambolic. Whilst the new benefit system was intended to be rolled out in just next April it now seems that these will just be small pilot projects in Chesire and Manchester. With just six months to go, The Independent claims a complete reorganisation of the complex IT system is now taking place which could add another half a billion to the cost by next Spring. The Universal Credit programme director Malcolm Whitehouse, and the DWP’s head of IT, Steve Dover, are both reported to have left the DWP last week. Other key staff are also claimed to have left whilst the civil servant in charge is on extended sick leave. The small pilots which have taken place to test the IT system are reported to have reported errors in dates and payments, with one trial involving just 400 claimants being described as ‘chaotic’. None of this is likely to stop Iain Duncan Smith whose defiant charge into political oblivion may yet drag half the country with him. It will not just be benefit claimants who suffer as rents go unpaid, debts are defaulted on and household bills are unpaid. With 18 million people likely to be affected by the change to Universal Credit, a bungled roll out could send the economy into meltdown. And bungling is what Iain Duncan Smith does best as he attempts to steamroll through the welfare reforms he designed on the back of an envelope after watching an episode of Shameless. The end result could be a shambles that dwarfs anything we’ve seen so far from this toff Government. Click here to view, share and comment on the original article. The government has been forced to launch an inquiry after it was forced to admit that jobcentres have been setting targets and league tables to sanction benefit claimants despite recent assurances to parliament that no such targets were being set. The Employment Minister, Mark Hoban, had told MPs that decisions on sanctioning claimants “need to be based on whether people have breached the agreements they have set out with the jobcentre, and there are no targets in place”. The advice includes: “Do not accept the same job search every week, do not accept ‘I dropped off CV to shops like Asda or Sainsbury’s’, listen for telltale phrases ‘I pick up the kids’, ‘I look after my neighbours children/my grandchildren’ or just ‘I am busy’ – all of which suggest that the customer may not be fully available for work, even cases where a parent shares custody can be considered.” The Jobcentre manager also said someone can be deemed not to be actively seeking employment, and therefore subject to sanction “if someone is going away from home, but is not willing to return to take up employment, not willing to leave details of how they can be contacted should a job become available or not looking for work whilst away”. The recent denials of Mark Hoban, Iain Duncan Smith and the DWP seem to fly in the face of honesty when as long ago as April 2011 the govt admitted Jobcentre staff around the country have been involved in a drive to kick people off benefits amid pressure to meet welfare targets set by their managers. And even back then the govt initially dismissed revelations made by another whistleblower who said staff at his jobcentre was given targets of three people a week to refer for sanctions, where benefits are removed for up to six months. The Guardian also spoke to several Jobcentre staff who, speaking anonymously, claim that targets and pressure to stop people’s benefits still existed in their office, and that vulnerable clients are often affected. One employee claimed the practice had been going on at his office since they joined in July 2009. These revelations are very disturbing considering that from 22 October 2012, a new level of sanctions was introduced which meant people could have their benefit stopped for up to 3 years. How exactly people are meant to survive without any form of income is bewildering and the fact that a decision may be reached to meet a set target should be a concern for everyone. All this comes at a time when the government have pushed through emergency legislation to reverse the outcome of a court of appeal decision and “protect the national economy” from a £130m payout to jobseekers deemed to have been unlawfully punished. Tessa Gregory from Public Interest Lawyers, who successfully represented Reilly and Wilson at the court of appeal, said the legislation smacked of desperation. “The emergency bill is a repugnant attempt by the secretary of state for work and pensions to avoid his legal obligation to repay the thousands of jobseekers, who like my client Jamieson Wilson, have been unlawfully and unfairly stripped of their subsistence benefits. “The use of retrospective legislation, which is being fast-tracked through parliament, smacks of desperation. It undermines the rule of law and means that Iain Duncan Smith is once again seeking to avoid proper parliamentary scrutiny of his actions. The govt’s precarious stance on all this is nothing new. A constant theme with their ‘back to work schemes’ and implementation of sanctions seems to be one of ill thought out rushed through policies based on ‘their’ ideologies rather getting people back into work or indeed factual evidence. Someone looking in from the outside could quite easily come to the conclusion that a vast section of the population is being persecuted simply because they are unable to find work through no fault of their own. Around one in 10 of those who are assigned to the Work Programme, an £5 billion initiative which uses private-sector providers to train the long-term unemployed and get them into work, end up losing their benefits for failing to “play by the rules.” From the start of the scheme in June 2011 up to April 2012, more than 73,000 claimants were “sanctioned” out of a total of 734,000 referred to the programme. The Work Programme isn’t working. It’s a £5 billion pound failure. Not one of the 18 contractors reached the target set by the government of getting 5.5% of clients a job for at least six months. Only 3.5% of people referred to work programme found jobs lasting six months. However one chooses to dress it up, at the core of such policies is the idea that by paying a benefit the state (and by extension the taxpayer) assumes part-ownership of the labour of persons in receipt. And what the state is actually doing is buying the labour of millions of people, en masse, below the market rate and National Minimum Wage, in order to then contract it out to large and profitable businesses for nothing. Such schemes do not end the “something for nothing culture”. They simply elevate it to the corporate level. It is a paradox for traditional right-wing commentators, who object to funding an individual’s benefits, to appear quite happy to cross-subsidise a huge conglomerate with global revenues of $100bn in 2010. Perhaps most importantly, these schemes are a state-form of denial; a particularly classic case of burying their heads in the sand. It is now public knowledge from an official response to a parliamentary question that the Office for National Statistics includes people on such unpaid schemes in their data as “employed”. Such schemes are being rolled out on a massive scale. 370,000 unemployed were referred to the Work Programme in the first few months of its existence. 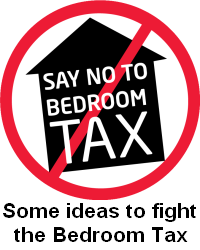 Over a million people are expected to be forced onto the Community Action Schemes. The manipulation of statistics at such a scale may go some way to explaining the continuing disparity between rising “employment” and the stagnating or contracting GDP. Policy on these schemes has become the art of “because I said so” or “I don’t know, that’s just how it is”. It has done so in the face of evidence to the contrary, creationist in its resistance to the truth. There is an overwhelmingly idiotic assumption at its basis; that the reason 2.5m jobless will not fit into 500,000 vacancies, is not mathematics, but a lack of willingness on their part. How can the state tackle unemployment if it is unaware of how many people are genuinely unemployed, where they are and which industries they are trying to find work in? All this lays bare a stark fact: the Government is interested in the figures looking good, rather than genuinely tackling unemployment. For how can one solve a problem by hiding it in dark statistical recesses and denying it exists? With increasing job insecurity, that is something that should concern us all, regardless of political persuasion. Myth 1: There is a big problem with families where generations have never worked. The truth is that the Labour Force Survey shows only 0.3 per cent where two or more generations of working age have never worked. Myth 2: Most benefits spending goes to unemployed people of working age. This is completely wrong. The biggest element of social security expenditure (42 per cent) goes to pensioners. Then housing benefit is next, accounting for 20 per cent, of whom one-fifth are in work. Then 15 per cent goes on children, through child benefit and child tax credit. Some 8 per cent goes on disability living allowance, 4 per cent on income support mainly for single parents and carers, 4 per cent on employment and support allowance to those who can’t work due to sickness or disability and 2 per cent on carer’s allowance and maternity pay. Just 3 per cent is spent on jobseeker’s allowance. Myth 3: Benefit fraud is high and increasing. The latest official DWP estimates show that last year just 0.7 per cent of benefit expenditure was overpaid due to fraud, including a mere 0.3 per cent for incapacity benefits. It is equally false that benefit fraud is increasing. The figures for combined fraud and customer error for jobseeker’s allowance and income support show it halved from 9.4 per cent in 1997-8 to only 4.8 per cent in 2004-5. Myth 4: Couples on benefits are better off if they split up. In fact, research by the Joseph Rowntree Foundation found that the benefits system provides very similar living standards to families irrespective whether they live together or apart. 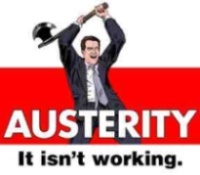 Myth 5: The welfare bill has ballooned out of control and grew unsustainably under Labour. In fact welfare expenditure totalled 11.6 per cent under the Tories in 1996-7, but only 10.7 per cent under Labour up to the crash in 2008-9. The truth is that over the 2003-8 period leading up to the crash, only 37 per cent received incapacity benefit long term, while 38 per cent were on benefit for less than one year. Myth 7: Social security benefits are too generous. In fact unemployment benefit levels fall well below what research shows most people believe should form a minimum household budget. A single adult of working age receives just 40 per cent of the weekly minimum income standard and a couple with two children receive only 62 per cent of the weekly minimum. Myth 8: Most people who claim disability benefits could be working. The truth is that many of the people claiming incapacity benefits are those with low employability in areas of few jobs. Unemployment remains at 2.6 million, there is an average of eight people chasing every available job and most employers – given the choice, which in a very slack labour market they have – would prefer not to take on the risk and hassle of implying a disabled person. Many people then end up in a situation where they are not fit enough to do the jobs they can get, but can’t get the jobs they can do.